Use of technologies that can read faces in crowds or track automobiles has grown in recent years, landing in the hands of local law enforcement. Yet no one has asked the public for their consent. The San Diego Police Department is using facial recognition devices and DNA-gathering technology without cause on unsuspecting citizens. SDPD told the New York Times in 2015 that officers weren’t required to file any paperwork when they used the technology, that the products were in use as a “test product for the region” and that they didn’t know how many devices with these capabilities were in the field. Use of these technologies has only grown and yet no one has asked the public for their consent. Earlier this year, Voice of San Diego reported that San Diego police had deployed automated license plate readers throughout our region, which track identifying information about hundreds of thousands of car trips per year. When asked who had access to this massive database of San Diegans’ movements, the department incorrectly claimed that database was not under SDPD’s control and said it couldn’t control who it was shared with. They later acknowledged that in fact, SDPD does have a say over who shares data with and had, perhaps unwittingly, shared the data with at least 800 other law enforcement departments across the country, including federal law enforcement. Because surveillance capabilities defy the borders of cities and counties, a statewide fix is in order. Sudden arrivals of unsecured surveillance systems in the hands of untrained police cannot be the way of the future. Allowing mass surveillance technology to show up unannounced and uncontrolled is not the right approach for building lasting trust between police and people in neighborhoods. Facial recognition technology in particular is maturing at a rapid pace. The president of Microsoft this month warned that facial recognition technology needs the urgent attention of Congress. Already, products like Amazon’s “Rekognition” are being marketed to police departments, providing systems that identify and track “people of interest” in public places and monitor all faces at crowded events. Pacific Standard reported that police agencies in California are among those expressing early interest in the system. A 2017 visit by the ACLU to a law enforcement conference found vendors offering products that combine mass facial recognition, audio surveillance and license plate reading systems to provide police with access to live correlation and tracking of every person observed. The technologies of science fiction have materialized without any framework for rules or scrutiny. How will these technologies be configured, and under what circumstances will they be used? Who will be responsible for ensuring they are used properly, that they won’t be used unfairly to over-police vulnerable populations and how will personnel be trained to use them correctly? And, perhaps the most important question, has anyone asked our communities if we even want these surveillance devices pointed at our homes, streets, businesses and vehicles? Fortunately, there’s a bill in the California Legislature that would solve these problems. 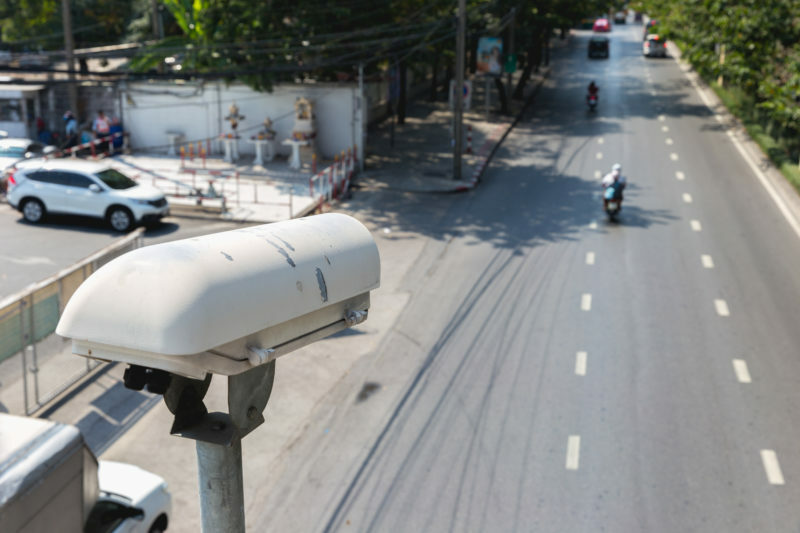 SB 1186 as originally written would require local law enforcement agencies to seek the approval of their local governing bodies, such as city councils, on how the agency intends to use its surveillance technology. If the agency’s plan isn’t approved, the agency would have to cease using that technology. If left unamended, the bill would succeed in striking a balance between supporting law enforcement’s need to use modern technology to combat crime and still being accountable to residents and the communities they are policing. It’s now before Assemblywoman Lorena Gonzalez, who chairs the Appropriations Committee. I urge her and San Diego’s other state legislators to say “yes” to community and police collaboration. Seth Hall is a writer and technologist living in San Diego.